You’re out on the club run and find yourself riding next to someone you haven’t seen out in a while. We’ve heard all the ‘excuses’: I’ve been ill, busy with work, been away, not feeling fit enough, putting time in with the family. But how often do you hear someone say ‘I’ve had a bit of depression’? Never. Stuart has bitten the bullet and is riding 400 miles to raise awareness of mental health issues. When you think about it, depression and mental health just isn’t something that is talked about, but it affects 1 in 4 people. 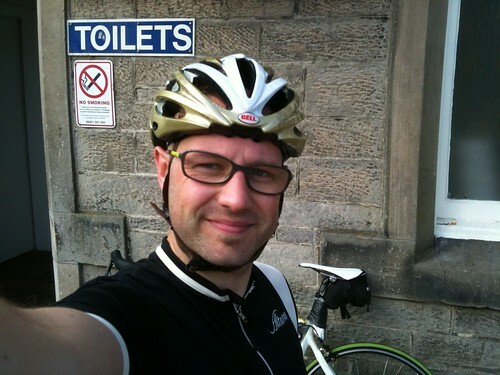 Stuart Potter is one of Edinburgh’s successful professionals, a popular business networking leader, an avid cyclist and a happily married father-of-one. He is also a survivor of depression – making him among the one in four people across the UK who suffer from mental health problems at some time in their lives. Facing up to his illness has been a tough journey. That’s why Stuart is now preparing to embark on his Biggest Journey – and cycle 400 Miles from Edinburgh to London to raise awareness of mental health issues and money for charity Mind. During his journey, he will make Four Stops to deliver presentations to members of business organisation 4Networking, with the aim of raising a minimum of £4000. Stuart’s venture has already garnered huge support from 4Networking, his employers Veecom Systems and a wealth of friends, clients and associates. A successful social media campaign has helped dramatically boost awareness, with the @biggestjourney twitter account welcoming more than 500 followers, including 100 within 24 hours of going live. Stuart has been working hard to enlist sponsorship and this has been well received, with names such as Onestop IT Solutions already pledging their support. Perhaps as importantly, Biggest Journey has won fantastic emotional support for Stuart, with dozens of people confiding their own or a loved ones’ experience of depression. Stuart has successfully completed major cycling challenges before, but this will be his Biggest Journey, in more ways than one. The venture will see Stuart talking openly and honestly about his experiences of depression in a bid to address stigma and raise awareness of the problem, particularly in business circles. This comes less than a year after Stuart finally took the first step of visiting a doctor to deal with the depression which had blighted most of his adult life. And it’s a brave step which was inspired by the love of his wife and child which, this August, will welcome a new addition, making them a family of four. 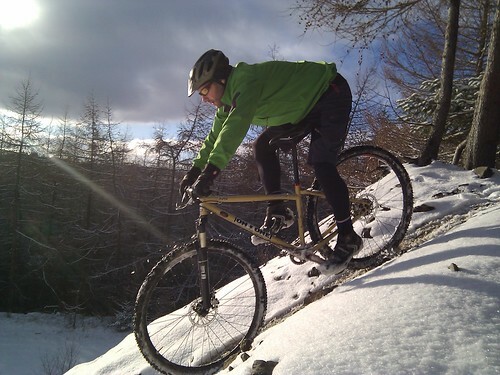 Stuart said: “I have been passionate about cycling all my life. Evidence continually proves that time outdoors and physical exercise can help reduce depression, and as my coping mechanism, seemed a fitting way to support Mind. “I felt strongly that I wanted to embark on this journey to raise awareness as well as money. “Then I realised I couldn’t try to combat stigma, if I was still treating my own depression as taboo by keeping it secret. “It was important to me to say out loud and publicly ‘I am one of those one in four’, and believe me, it is scary and very emotional. “However, the reaction has been overwhelming. This has been an incredible year for me, with very difficult challenges in facing up to depression. But it has also been uplifting and life affirming, because of all the support and understanding I have encountered. “Being involved in 4Networking has been brilliant, both for business referrals but also for friendship and support, which can be vital particularly in today’s tough climate, so I’m delighted to be involving them in my journey. “I’m also thrilled and grateful for the support of Veecom Systems, which as well as being a great place to work, has donated £400 and given me the week off to complete the challenge. Most of all, Stuart has revealed his appreciation of his wife and daughter, whose love ultimately prompted him to address his problems and visit a doctor. With appropriate treatment, Stuart is now coping with his depression and looking forward to the future with hope. 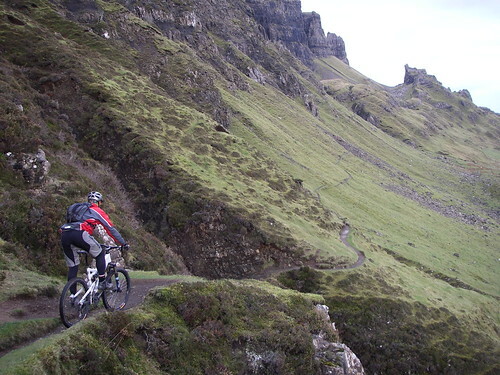 This entry was posted in Amateur cycling and tagged touring on April 11, 2012 by Owen.